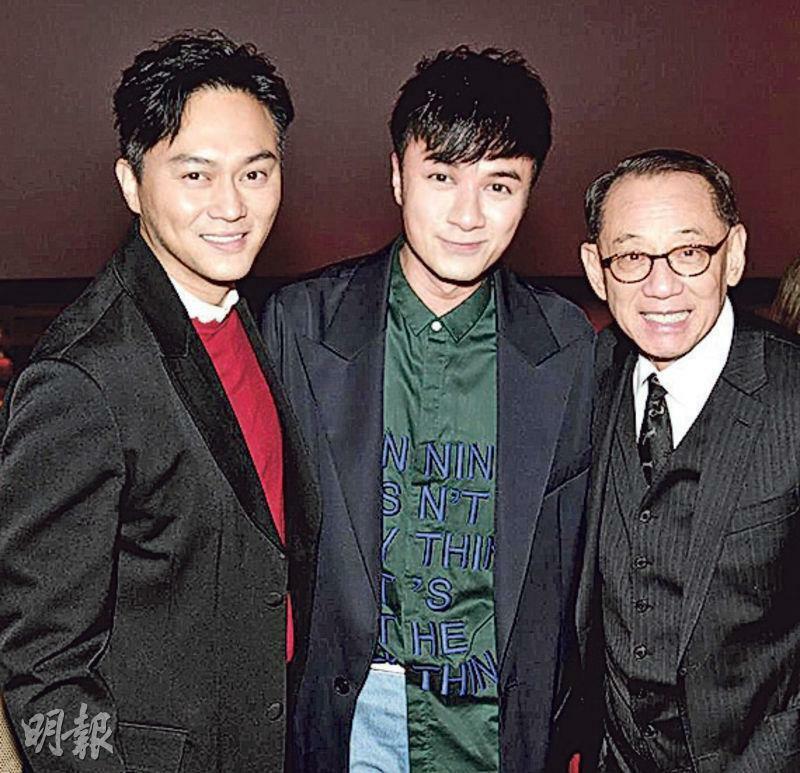 The Alan Mak Siu Fai directed, Felix Chong Man Keung and Wong Bun produced film INTEGRITY (LIM JING FUNG WON YIN MOK) two nights ago held its premiere at the Kowloon Bay International Trade and Exhibition Center. 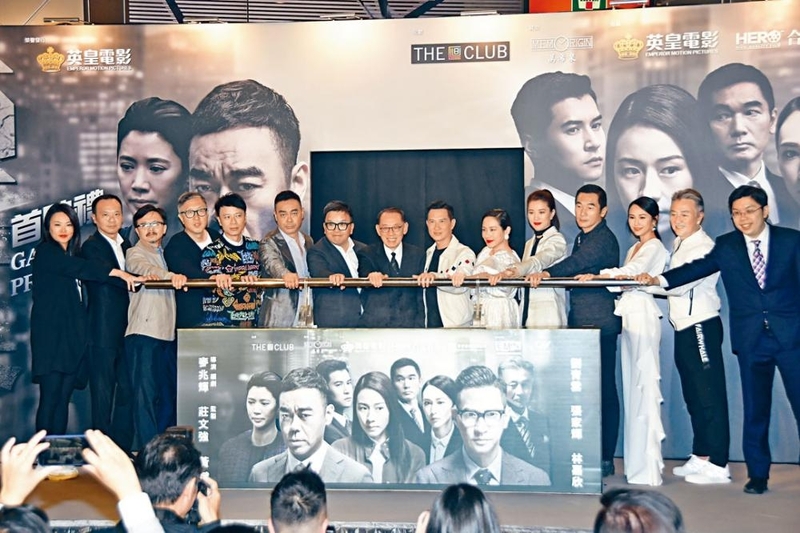 Actors Sean Lau Ching Wan, Nick Cheung Ka Fai, Karena Lam Ka Yun, Alex Fong Chung Shun, Anita Yuen Wing Yi, Hugo Ng Toi Yung, Kathy Yuen (Tong Yi) attended. Speaking of Ka Fai and Ka Yun shooting on location in Australia for a month, Ka Yun stated that she was very happy. However Ka Fai was envious of Ching Wan. He and Ching Wan both felt that staying at a hotel was quite a bother because they would have to get used to each hotel's room designs. Ka Fai even had no idea how to turn on the bathroom tap once. On the stage a lion eye dotting ceremony took place. Hacken Lee Hak Kun performed the film theme song. He said that earlier due to illness he still was not able to speak. He was worried about singing this song for three days. 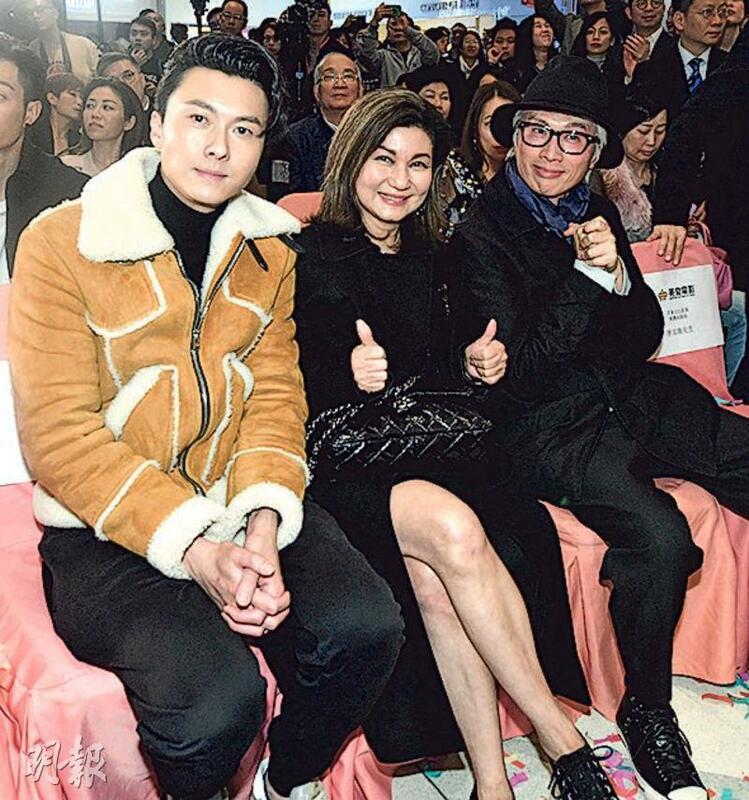 Dayo Wong Tze Wah, Kenny Kwan Chi Bun, Sherman Chung Shu Man and Tong Yi's old flame Ken Hung Cheuk Lap attended. Guest star Len Len said that aside from the script she also took the role because she would be able to work with Ching Wan again. Because they have no worked together in 26 years she wanted to see how he turned out. However he still did not like to speak. "Despite working together on so many films, we spoke less than ten sentences privately. Those tens were still 'did you eat?' 'I did'." Len Len admitted that if she would not be mainly working opposite Ching Wan, she absolutely would not guest star aside from mentors Peter Chan Ho Sun, Eric Tsang Chi Wai and Derek Yee Tung Sing's movies. Alan Mak Siu Fai was a good "cousin" but they were not close and have not seen each other for a very long time. Thus when he asked her to guest star, she first asked about the character's potential. When she thought the character was interested and she would work with Ching Wan she agreed. Working with Ching Wan after 26 years, Len Len said that it still felt like it was yesterday and they were still very young. "Although Ching Wan didn't like to speak, he became more mature and stable, very manly. This time the guest role isn't enough, if next time we would have more lines it would be better. I look forward very much to playing a couple with Ching Wan again." Ching Wan, Ka Fai and Lam Ka Yun spoke to the press together. Did Ka Fai and Ka Yun have a lot of fun while working in Australia for a month? Ka Yun stated that it was a lot of fun, but Ka Fai was envious of Ching Wan for getting to work in Hong Kong. "I was envious that he was able to go home after work. Did you think it was fun for me to live out there for a month? Of course sleeping in my bed would be better." Ka Fai revealed that for the skiing scene he constantly fell because he did not know how to ski. He even broke the zipper on his pants and lost his phone in the snow. Luckily someone found it and sent it to his hotel. He said, "It was still found after being buried in the snow, truly anything can happen." Ka Yun said that she had many action scenes. She had to chase and fight Ka Fai, but he very gladly took her abuse. Speaking of Mak Siu Fai's sequel plan, they said that if the director had roles for them and time would permit then they would return. Would Ching Wan ask to shoot overseas for the sequel? Ching Wan said, " Staying at the hotel is quite a bother. This time on the Mainland promotional tour, we were at a different hotel every night and had to adjust to each room's light switch and taps." Ka Fai agreed. "I realized that the hotel's new designs got their joy from you unable to use them. Once I didn't know how to turn on the bathroom tap, I couldn't take a shower." Ching Wan also revealed that sometimes he would not be able to sleep in a strange room, so he could only play the light switches. Ka Yun did not have this problem because she fell asleep as soon as she put on her eye mask. Ka Yun joked, "Just like a race horse?" Ka Fai's daughter earlier turned 13. He said that they celebrated with dinner and cake. Tong Yi was in the same unit as Ching Wan. She admitted that at first she was very afraid of Ching Wan because she thought he was very cool. The first time they had a scene together she couldn't rehearse at all. Ching Wan then said to her, "Slow down a little, you don't have to be so nervous. I don't eat people. Then I relaxed a little. Rehearsal was fine, but at the shoot I was already stunned. (Ching Wan's presence was too strong?) Very sharp, I didn't dare to have too many bad takes. I have been in the business for ten years, I can't be so scared." In order to overcome her fear, she took the initiative to talk to Ching Wan and talked about running. He also shared his own production experience and said that she just started and had a long way to go. He told her to slow down. "When he was my age he had the most work."